However community leader Dr Jamal Rifi says the mosque had no intention of supporting the Islamic State. “Probably this flag should not have been put for an auction,” Dr Rifi says. 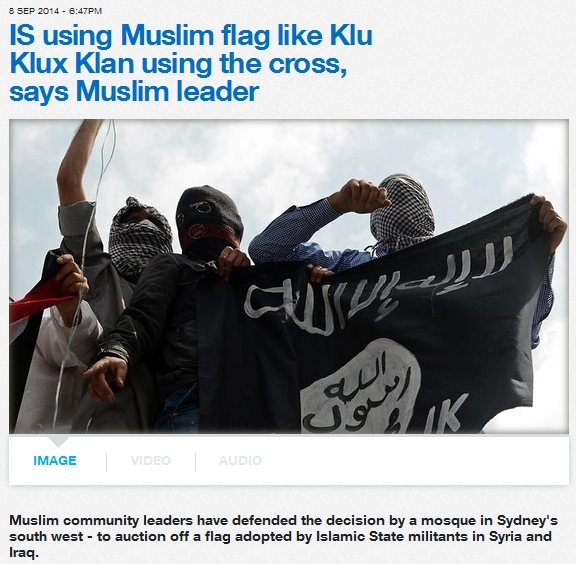 Dr Rifi says the flag has significance to all Muslims, and does not belong exclusively to the Islamic State. 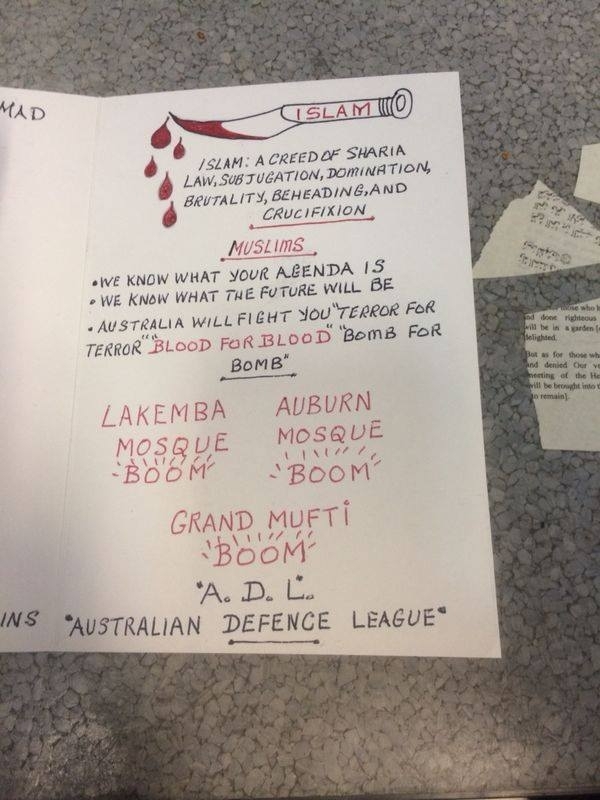 We can sympathise with Muslim community leader Dr Jamal Rifi when he condemns the misuse of the Shahada flag by the ratbag riff raff nutjob thugs of IS. Because in this country we have the Eureka Flag, the symbol of the Eureka Stockade and long the banner of the labour movement, which has been similarly hijacked and misused by ratbag riff raff nutjob thugs from “patriotic” far right organisations with ties to neo-Nazis. So Mike, are you going to stop all those far right groups from trashing our Eureka flag? Or is it only important when you get a chance to sink the boot into the Muslim community? 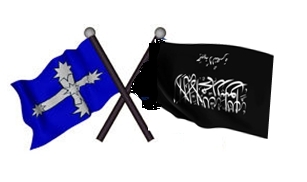 The Muslims want their ancient Shahada flag back. And we want our Eureka flag back.